$1,509.99 each List: $3,152.00, You Save: $1,642.01! 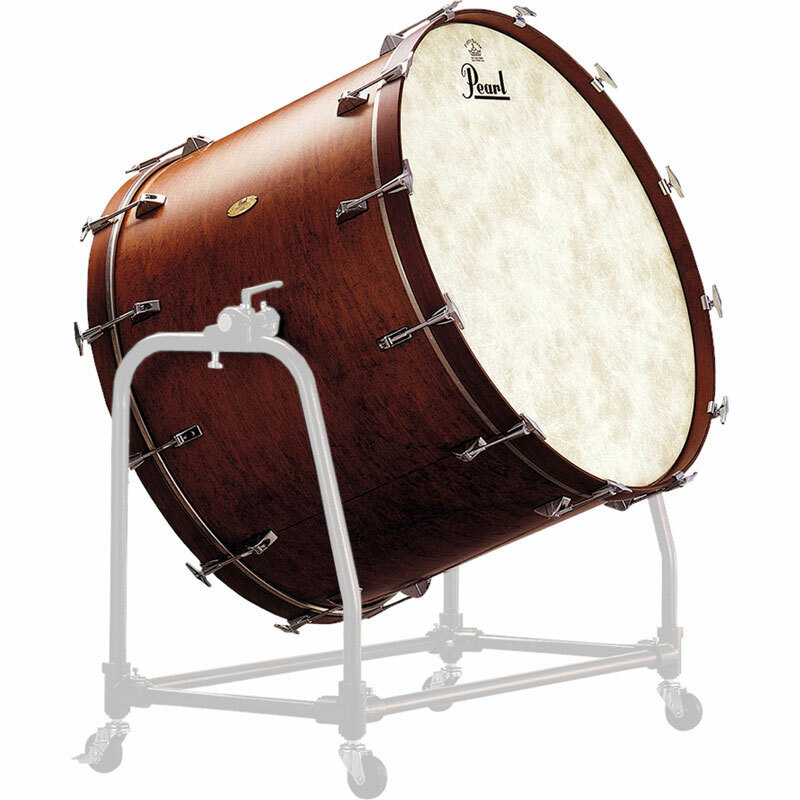 Symphonic Series Concert Bass Drums offer the professional player the famed voice of a shell constructed from 6 plies of 100% aged Maple and formed using the patented Heat Compression Shell Molding System. Maple has long been a favorite shell material due to its warm, well balanced tonal qualities, excellent projection, and lasting resonance. The Symphonic Series Bass Drums also offer many of the same outstanding features found on the top of the line Philharmonic Series, including 8mm handle bolts, 2" wide 100% Maple Hoops and the Silent Tensioning System Lugs for the ultimate in tuning integrity, and Remo Fiberskyn III Heads for a great tone. Symphonic Series Bass Drums are available in 28"x14", 32"x16", 32"x18", 36"x16", 36"x18", 36"x20" and 36"x26" sizes, and are finished in beautiful matte Walnut stain. Maple Maple offers a smooth, warm, well rounded tone, with equal amounts of hi-end attack and mid range body, and an excellent low end punch. Ideal for all around applications.